The complex relations and antagonisms between cultures are explored in Lorraine Hansberry’s Les Blancs, presented at Sacramento State’s Playwrights’ Theatre as part of the University’s Arts Experience. Performances are at 8 p.m. March 7-10, 16, and 17; 6:30 p.m. March 14 and 15; and 2 p.m. March 11 and 18. Tshembe, a young African returning from a life in Europe and America for his father’s funeral, finds that his homeland is torn by revolution. Realizing he needs to bring his people back together, Tshembe must confront a complete identity shift away from the new life he has become accustomed to. The conflicts he faces with his brother, who is studying for the priesthood, and an American author, serve as a microcosm of larger issues. 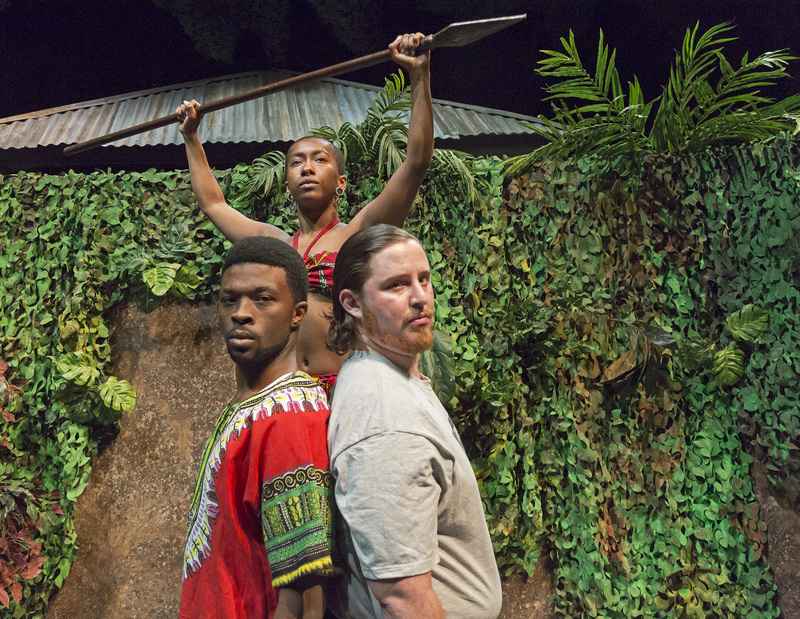 “The relationship and conflict in this play continue on today and will continue on tomorrow between African and Western cultures,” says co-director Melinda Wilson Ramey, associate dean of the College of Arts and Letters. For this production she brought in Chicago-based Lisa Thew as co-director. While Wilson Ramey focuses on the staging, Thew is helping with the characterizations to determine just who these people are. “It’s been a really great partnership to work with her as a guest artist,” Wilson Ramey says. Kevin C. Frodahl plays American Charlie Morris, a naïve author who romanticizes Africa, glossing over its real problems. “He wants Tshembe to open up and tell him everything about Africa and put its problems’ solutions into simple words,” Frodahl says. Tickets for the 6:30 p.m. performances of Les Blancs are $15 general admission, $12 students and seniors, and $10 children. All other performances are $18 general, $15 students and seniors, and $12 children. Tickets are available at the University Ticket Office csus.edu/hornettickets or (916) 278-4323.